150° viewing angle which provides a perfect flicker-free visual enjoyment. Ideal choice for home theater movie, education, conference room presentation, public display, outdoor movie. 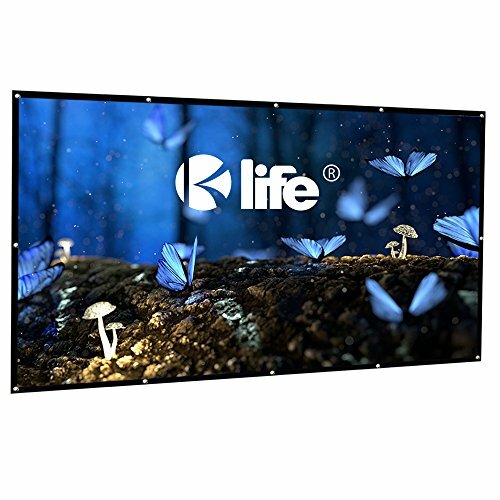 Get your hands on Kolife 100'' movie screen! Due to the folding screen shipping, therefore there are some wrinkles as it shows when you receive it, you can wrap it around a frame tightly for few days, vertical and horizontal must be stretched by force then the wrinkles will be less or hand wash it to make it unfold, you can also use iron but remember not too hot. If you have any questions about this product by Kolife, contact us by completing and submitting the form below. If you are looking for a specif part number, please include it with your message.